16th September 2017 marks the start of the new Academic Year at Al Falah University hence today; AFU welcomed a distinguished group of faculty members from various prestigious Arab and foreign academic institutions to join the University for the Academic Year 2017-2018. Dr. Sameer Barghouthi, Vice President for Academic Affairs greeted the faculty members and wished them success in the next chapter of their educational career. He stressed the importance of contributing to the enhancement of AFU’s image locally and internationally through the diversity of scientific expertise, increased research contributions and developed materials outputs by each faculty members. 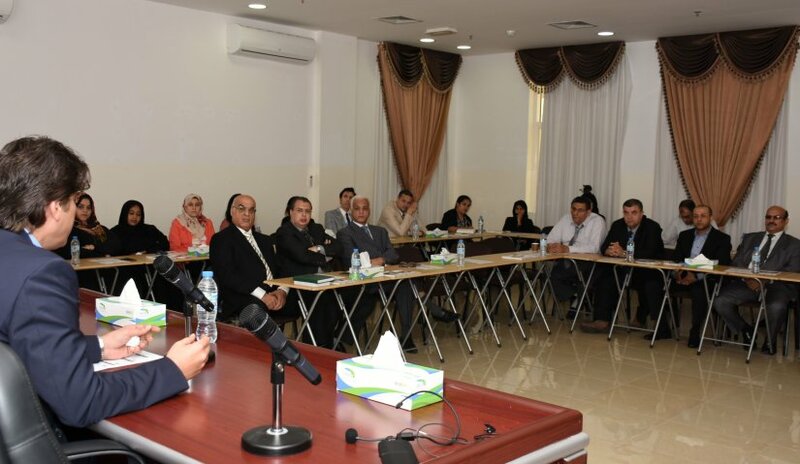 Dr. Barghouthi also stressed out the need to focus on the efficiency of students’ scientific achievement to qualify them in terms of scientific and practical application, to be able to meet future challenges and to meet the demands of the local or global labor market. He also mentioned the necessity of an ongoing scientific research which contributes to the advancement of Al Falah University. Moreover, Dr. Barghouthi discussed the importance of developing relations between AFU and public and private sectors and the role of each faculty members in maintaining and promoting the quality of education as one of the main priorities of the United Arab Emirates.